Father’s Day is one of the unique and interesting opportunities for dads and their children to have some quality time together. they can have all the fun while also learning more about each other which strengthens the bond between them. Yet since this is a special day, what are the other great things and activities you can do to make the day even more special? Here is a list of some of the best activities that the whole family can do on Father’s Day. Today, you will find tons of sites that let you make then purchase personalized hardcover photo books. With that, you can go through your collection of digital family pictures and select the best ones that feature dad and the kids; let the children choose their favorite photos as well to make it even more special. Help your kids with uploading the pictures to the photo book site then fill out all the necessary captions there. 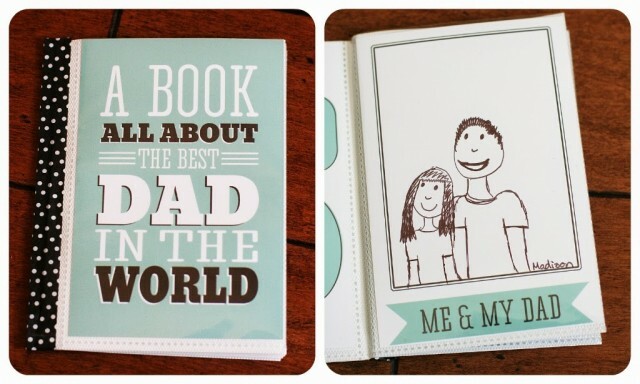 A sentimental title should also be used for the front cover such as “With the Best Dad Ever”. It would be great if dad could relax for a while, so let the kids give dad a considerate present that does not cost a thing. Make a list of some of the chores or work that dad usually does at home and in the garden: if he handles the job of washing the car, clean out the garage, or mow the lawn, let the kids handle some of the tasks there and let dad enjoy his ‘time off’. If he protests, suggest that he does something he enjoys then when he returns, surprise him with the tasks done! One of the best ways to celebrate Father’s Day, or any occasion for that matter, is by spending and enjoying each other’s company as a whole family. This may sound simple but it is undeniably easy to get distracted from spending quality time together because of chores, work, and even homework. Take some time off to run around and play with the whole family where you can have a fun outdoor activity to celebrate Father’s Day. Have dad and the kids play with the many Original Copter toys which will surely be a fun and memorable day for everyone, especially dad.